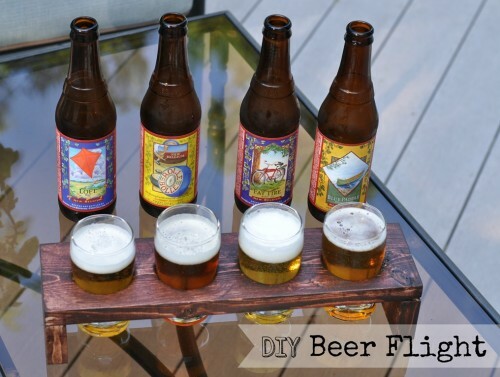 This is a great idea: Make Your Own Beer Tasting Flight. You need wood, a 2 1/8″ drill bit, glue, clamps, and 5 oz beer glasses. Pretty cool. It would make a great gift, too.